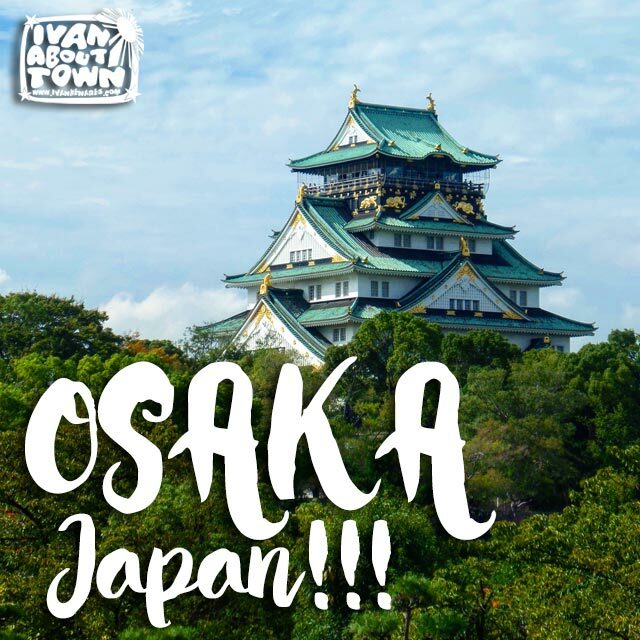 Osaka is the gateway to five World Heritage properties, all within two hours from the city. 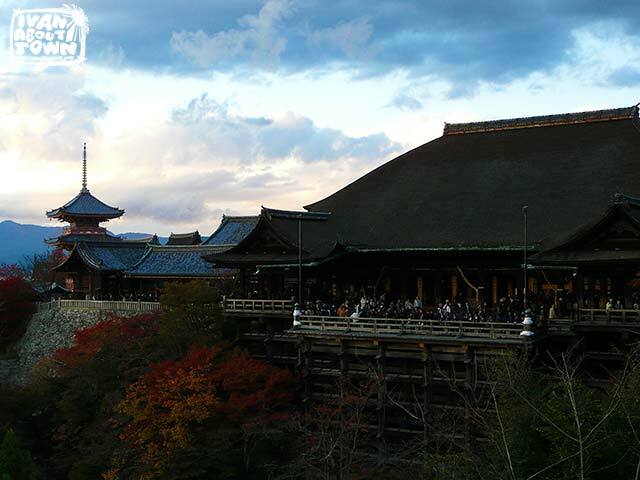 There are the Historic Monuments of Ancient Kyoto, one hundred ninety-eight buildings and twelve gardens that make up the seventeen component parts of the property in the cities of Kyoto, Uji and Otsu. Kyoto is an hour by train from Osaka. And I’ll talk about it in another post since Karaksa Hotel also has a branch in Kyoto. Another ancient capital forms the Historic Monuments of Ancient Nara, with eight component parts composed of seventy-eight different buildings. Nara is thirty minutes by train from Kyoto. Also nearby are the Buddhist Monuments in the Horyu-ji Area, forty-eight Buddhist monuments in the Horyu-ji area. 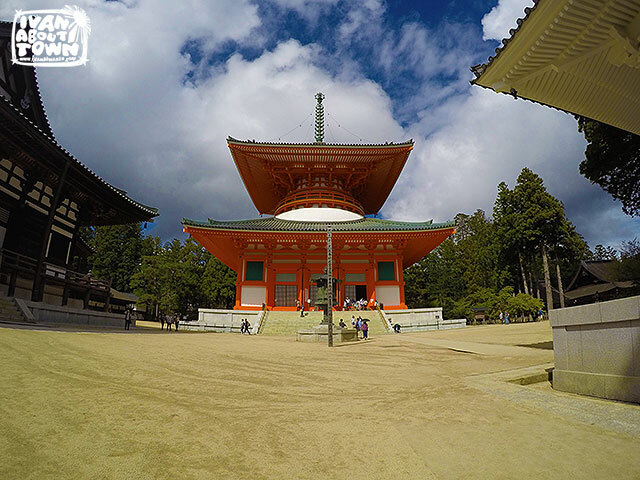 The Sacred Sites and Pilgrimage Routes in the Kii Mountain Range includes three sacred sites – Yoshino and Omine, Kumano Sanzan, Koyasan – linked by pilgrimage routes to the ancient capital cities of Nara and Kyoto. 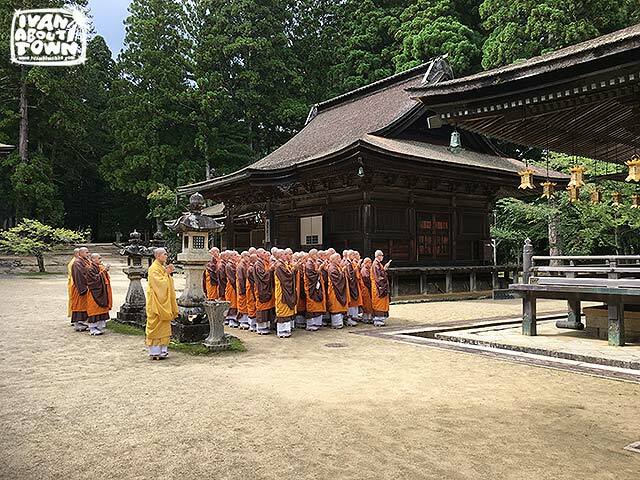 During this trip, I visited Koyasan, which is just one hour and thirty minutes by train from Osaka. Finally, there is Himeji-jo (Himeji Castle), which is also one hour and thirty minutes by train from Osaka. 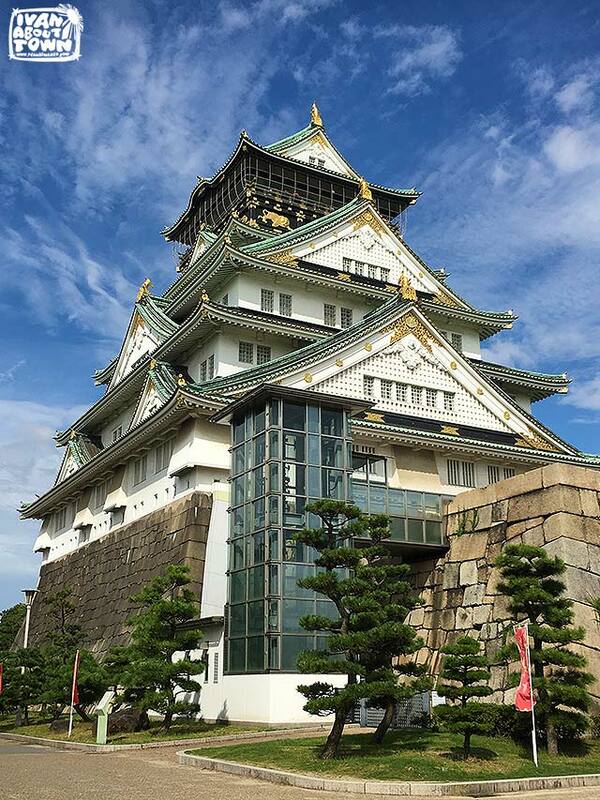 One of Japan's most famous landmarks, Osaka Castle is a popular attraction especially during the cherry blossom (hanami) season. 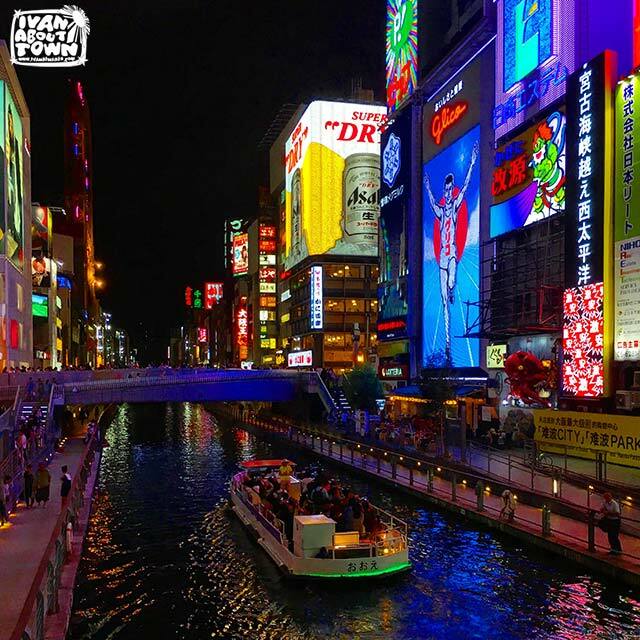 Illuminated signboards at Ebisu Bridge on the Dōtonbori Canal are an important landmark in Osaka, in particular, the Glico runner crossing a finishing line has been seen as an icon of Osaka. Dōtonbori is a popular nightlife and entertainment area. 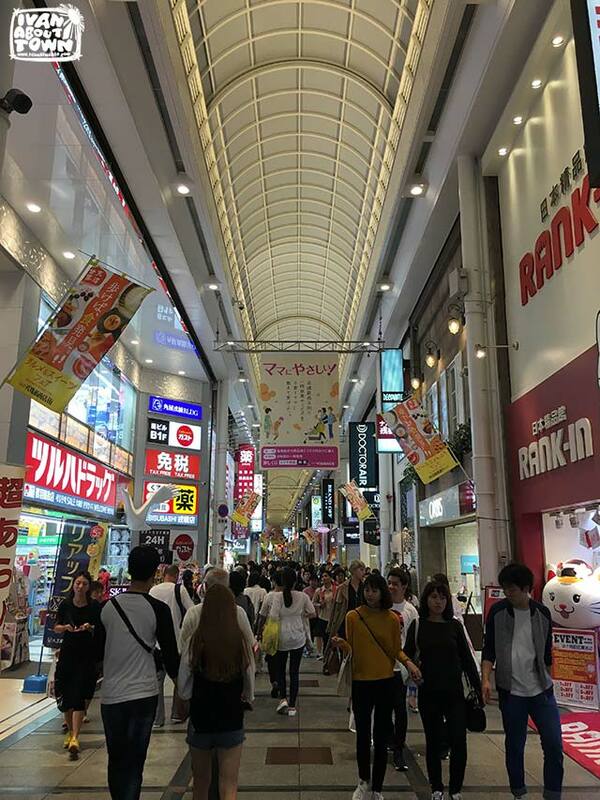 Osaka also has two large shopping districts: Umeda and Namba. In between them is the covered shopping arcade Shinsaibashi Suji. Osaka is one of Japan’s favorite food destinations. There are many dishes you have to try including the popular sushi and sashimi. 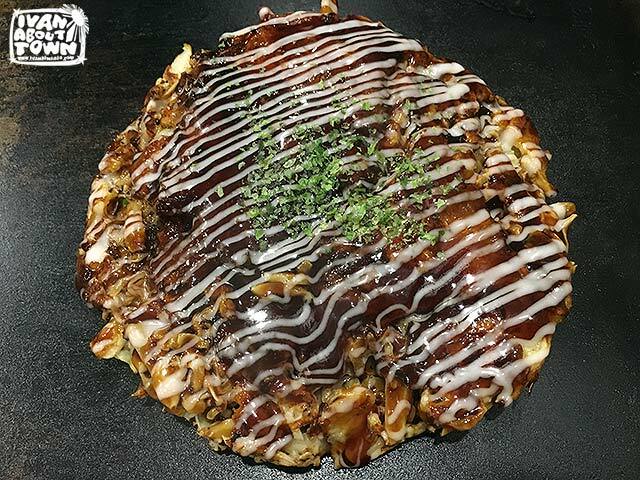 But the local delights include okonomiyaki, which is very popular in the Kansai Region, especially Osaka. 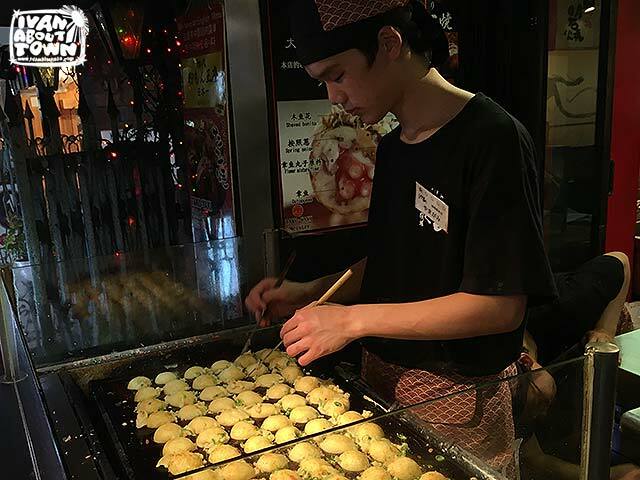 Another popular street snack that screams Osaka is takoyaki. You’ll find it sold almost everywhere. There’s yakiniku (grilled beef). If you’re ready to splurge, there’s Kobe wagyu beef and Matsuzaka beef. Yakitori is grilled meat on skewers, popular in Osaka’s pubs. 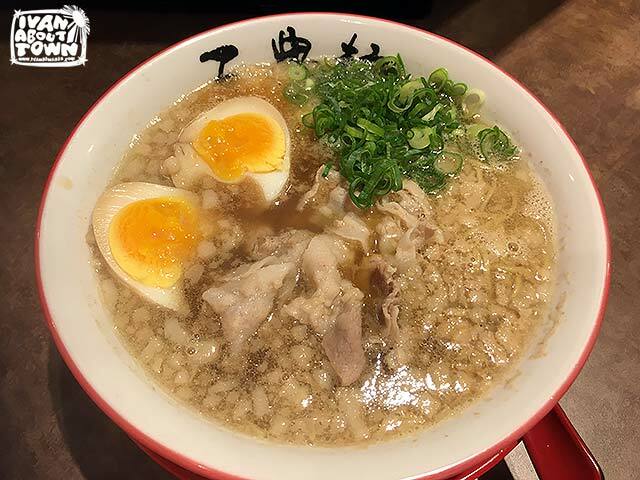 Ramen is quite popular in the Philippines. But there’s nothing like having the real deal in Japan. Another popular noodle is udon. Then there’s Japanese curry, katsu, tempura, and donburi to round up dishes you have to try while in Osaka. Universal Studios Japan is located in Osaka, which is perfect for families with kids. The Wizarding World of Harry Potter is one of the very popular attractions. Plus there’s Snoopy Studios, Hello Kitty's Fashion Avenue, and Sesame Street Fun Zone. Karaksa Hotel Shinsabashi I, where I stayed, is walking distance from the Nagahoribashi subway station. The new interiors are clean and modern, and exude the value for money Japanese business hotel that it is. The staff is warm and welcoming, including Grace from the Philippines who definitely eased the language barrier. 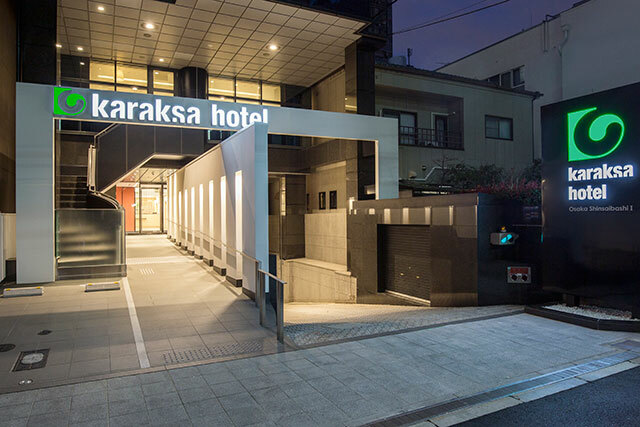 While many hotels of their class in Japan have really small rooms, Karaksa offers decent space at an affordable price (triple room in the photo). There is high-speed WiFi all over the hotel, including the rooms. Plus I liked it that they had power and USB outlets all over the room, including both sides of the bed. The toilet is compact but comfortable, with separate doors for the water closet, shower, and sink. And don’t you just enjoy those Japanese toilet seats?! They also have pajamas and sterilized slippers for room use. On the second floor is a guest lounge where you can work or relax, complete with a water and tea dispenser, and vendo machines. Breakfast is also served in the dining hall located also on the second floor. If you want to book your stay at Karaksa Hotel, visit www.gohotels.ph. Karaksa Hotels is a partnership of Xymax Corporation and Robinsons Land Corporation.